Over the years, as I consult for businesses or when I deliver presentations at conferences, forums and seminars, I met many business owners, marketers, digital marketing specialists, and even experts from agencies who are doing their keyword research completely wrong. Some do not even know what is keyword research, the importance of it and How To Find Keywords For A Website The Right Way. At the same time, I cannot really fault them for that. They had been led astray by a lot of the noise out there, all that bits of misinformation. Most of which hardly share the essentials of keyword research. In this post, I will share those with you. As a website owner, I am sure you want search engine success. You want your website to Get Ranked on First Page of Google, and other search engines such as Bing and Yahoo. If this is true for you, then it is imperative that you must understand the importance of keywords, how to do keyword research, how to find the right and high quality keywords for your website. But first things first. Let us discuss the basics such as What Are Keywords? How to Do Keyword Research? And finally, I will share with you the THREE Key Pillars of Effective Keyword Research. 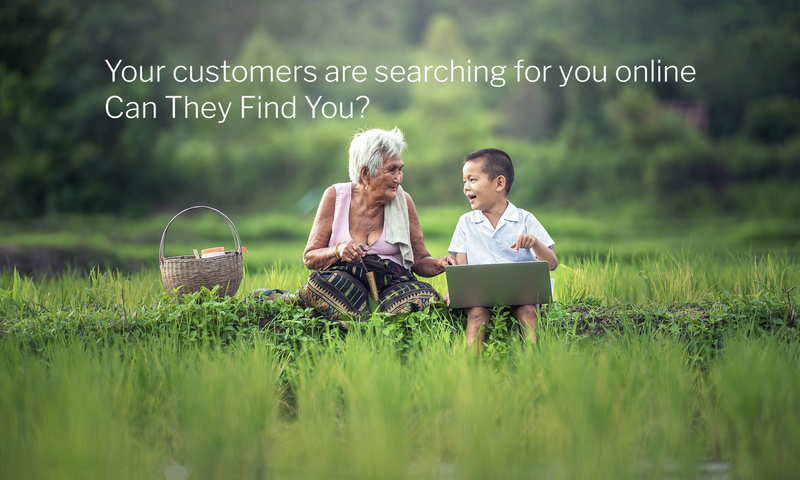 It starts with a person goes looking for a product or service such as the one your business provides. This person does not know your brand, your product, your service or anything about your business. Then goes to Google and other search engines to find websites providing information of the product or service as well as selling them. The same person types in words to do a search; for example, How To Find Keywords For A Website The Right Way. Search engines like Google returns pages of search results with listings. Each listing is a link to a website or web page. The words that the person enters for search are Keywords. Google and other search engines are in the business of providing quality and relevant search results for their users. Imagine if Google or other search engines show a listing of cake stores when the user is searching for affordable and good hotels? Very soon, users will abandon using that search engine because the results have no relevance, and no quality. So, can you see how important it is for search engines to show good search results? On the website owner side, that is you, it is important for you to find the right keywords that reflect accurately what product or service you are providing. With high quality keywords and relevance, your website can reach 1st Page of search results such as those of Google. Another very important point is that there has been a report by Chitika that 91.5% of users choose a business that is on the first page of search results. This means that websites on first page get more traffic that they can convert into customers, buying customers! In a very short time, I will show you how to do effective keyword research using a very powerful tool. It is the same keywords tool that I use to get my website and all my clients’ websites to first page of Google and other search engines. It is also the same keywords tool that I use for content marketing, where content created are ranked high on search results too. And the same keywords tool can be used for your online advertising campaigns. I will keep the process very simple. It does not need to be complicated. All you have to do is take action on what I teach you. When doing keyword research, there are THREE things that I always check and make sure of. I will show you what are these THREE things that I call the 3 Main Pillars of Effective Keyword Research. When I start with keyword research, whether for a website, blog post, online video or online advertising campaign, I focus on this metric. When a keyword is shown to have too much competition, also referred to as high competition, I will not consider using it. The reason is that with high competition, it is harder to rank a website for those keywords. It will take longer, and most times will not even reach 1st Page. Without the online visibility of being on 1st Page, there will be no traffic. With no traffic, there will be no one visiting your website, no one to convert as a customer. * Important! – No ranking = No Point! The metric to look for, that reveals to you about the amount of competition, is a metric called QSR. It means Quote Search Results. This is a valuable metric, and as far as I am aware of, there is only one keywords tool that offers this piece of data efficiently. This is the same keywords tool I used to Get My Website On 1st Page of Google as well my clients’ websites too. QSR tells you the EXACT number of web pages in Google that are competing for high search ranking with those keywords. This number is your REAL Competition! (this means 300 competing pages in Google). The lower the number of QSR, the closer to ZERO, the better. But not too close to ZERO and make sure there is traffic, which comes to my next point. This is the First Keyword Pillar – Under 300 QSR! In all the presentations I deliver at conferences, business forums and seminars, I always highlight that having traffic for the selected keywords is Very Important! There is no point in choosing the keywords that have ZERO traffic. Sure you can rank high faster. Maybe even reach Page 1 of search results. But what is the point of being on 1st Page if there is no one using those keywords to search? So how much traffic is ideal? Most people will say as high as possible. But take note, keywords with high amount of traffic usually have high competition. This means that it will be harder to rank high or on 1st Page of search results. Again, lack of online visibility = less or no traffic = no point! One rule of thumb I follow and use is that as long as the search term has over 50 searches per month, it is a candidate for use as keywords. Again, balance this with competition. If competition is still high for 50 or slightly over 50 searches, try to find other keywords that has better results. Some of you will say that 50 searches is so low. That is true. But you are not going to just use one keyword phrase. For every page of content you create for your website, you can use keywords. Each page with keywords get ranked high, and you add up the traffic of all to get substantial traffic. Also, with lower competition, these moderate traffic keywords usually are more relevant and can convert better. There are keywords that can have high traffic and low or moderate competition. These are tempting to use. But watch for those that syntactically do not make sense. For example, the title of this article is How To Find Keywords For A Website The Right Way. The title makes sense because the target keywords fit naturally within the title. It also works and is natural when writing it into the main body of the article. You can see the latter will be hard to to use in the main body text. Also, as a title it really does not make sense. Just as important, Google and other search engines now notice keywords and content that are natural. What this means is they give preference to text written in a natural way. Not words awkwardly forced into content just for ranking. The reason is the content is for people. It should make sense to people. Third Keyword Pillar – Must Make Sense To A Human Being! So, are you ready to try some keyword research? Consider the topic or theme of your website. Think of keywords people will use to find products or services like what you are offering. Type it in to the FREE Keywords Tool below. Remember to follow the THREE Pillars of Keyword Research! When you do, you will be super successful going forward. I can assure you of that! If you have any questions about keyword research or how to find quality keywords to use on your website, just ask. I have 25 years of digital marketing experience, and I will be more than happy to help you out.